The Flying Karamazov Brothers are among acts who’ll perform Sunday in a two-hour variety show at the Bing Crosby Theater. Proceeds from the New Old Time Chautauqua’s performance will benefit KYRS. Where: Bing Crosby Theater, 901 W. Sprague Ave. Admission: $15; children 12 and younger get in free. Buy tickets through TicketsWest (www.ticketswest.com or 800-325-7328) or at the door. A traveling show on the road to Spokane reflects the early days of vaudeville, when performers worked with what they had. Consider their outfits, for example. Costumes worn by the jugglers, musicians and acrobats of the New Old Time Chautauqua look handmade or handed down, said Lupito Flores, station manager for KYRS-FM. The noncommercial station, aka Thin Air Community Radio, will present the group’s two-hour variety show Sunday as a fundraiser. But in a high-energy, funny way. And with performers who earned international acclaim before signing on with the troupe, which often partners with nonprofit organizations for benefits. The New Old Time Chautauqua, based in Seattle, brings together 30 to 60 volunteer performers at a time. 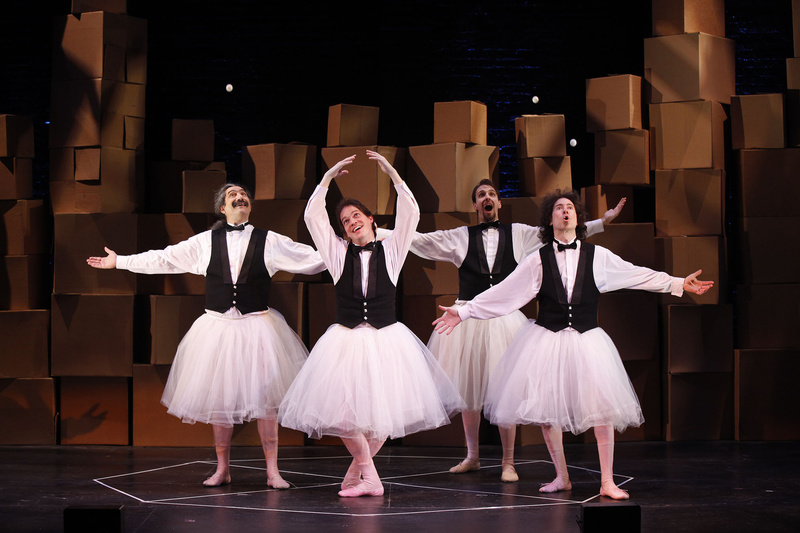 They include the Flying Karamazov Brothers – who promise to “wow you with their hilarious juggling and cheap theatrics” – and Artis the Spoonman, who’s played his spoons alongside Soundgarden, Frank Zappa and Aerosmith. Chautauquas flourished in the late 19th and early 20th centuries. Traveling shows or local assemblies, they blended lectures, plays and concerts to educate and entertain audiences. The New Old Time Chautauqua performed in Spokane in 2007. Its repeat visit Sunday is part of its “Keep the Faith” tour, in honor of longtime troupe member and folk singer Faith Petric, who died last fall. The tour included Petric’s birthplace, Orofino, Idaho. Also in the troupe: “delusionist” Joey Pipia; “crowd-pleasing hula-hooper” Vanessa Vortex; a tap dancer who goes by Toes Tiranoff; and acrobats, trapeze artists, dancers, poets, mimes, puppeteers and stilt-walkers. The Fighting Instruments of Karma Marching Chamber Band/Orchestra provide music and additional jokes.